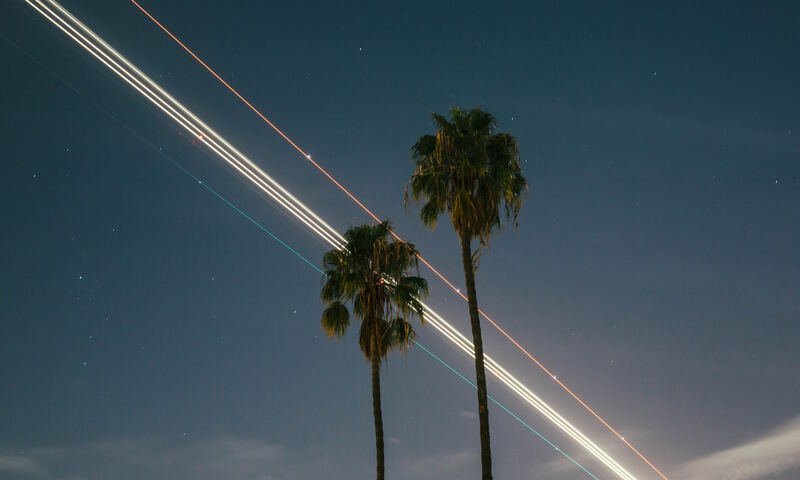 There are two airports close to Santa Cruz: San Francisco International and San Jose International. If you are planning to take public transportation, it is a little easier to travel to Santa Cruz from the San Francisco Airport than the San Jose Airport. Car: With light traffic, travel time is about 80 minutes. Option 1: Highway 1 during the day is a great scenic drive. Option 2: Highway 101 South to Highway 85 South to Highway 17 South. 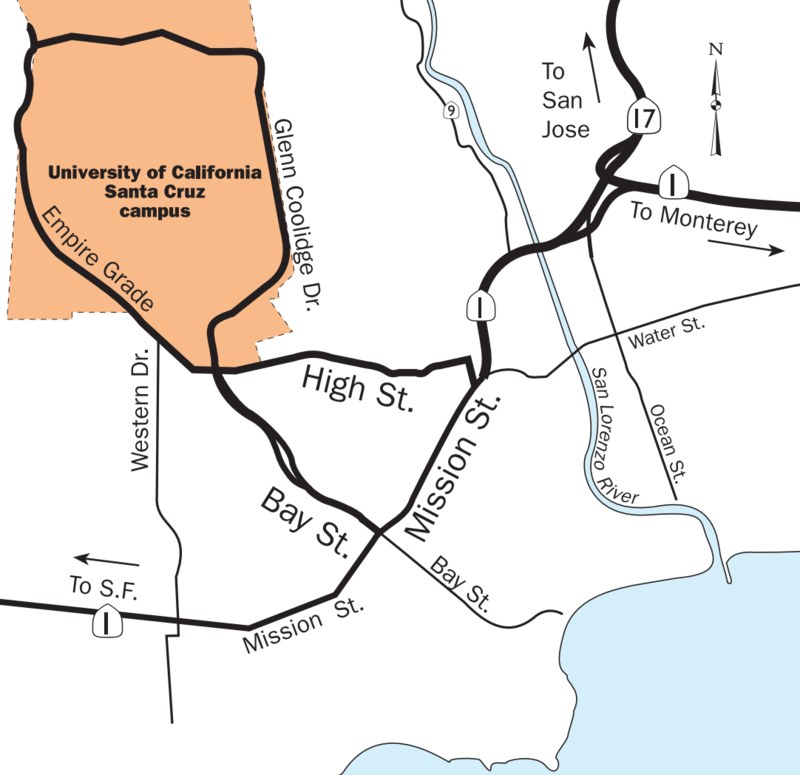 Option 3: Highway 101 South to Interstate 280 to Highway 17 South. Public Transportation: Travel time is approximately 3 hours. There is a BART (Metro) station in SFO, take BART to Caltrain to Diridon Station, then take the Highway 17 bus into Santa Cruz. Car: Travel time is about 40 minutes. Take Interstate 880 South to Highway 17 South. On Thursday and Friday, Santa Cruz Transit District buses stop on Heller Drive about two “blocks” from the Music and Digital Arts facilities. Stop at the Porter College/Rachel Carson College bus stop and walk to the facilities via hilly stairs and walking paths. If arriving by car, please see these driving directions and parking instructions. Lodging on the west side of town (near Mission Street, Bay Street and Pacific Avenue) is a little more expensive, but public transportation is easier to access. Hotels east of Pacific Avenue, including Ocean Street, tend to be less expensive, but public transport is less accessible. Local Transportation Options: Car, Bus, Uber, and Lyft.